Kareena has the most LOVING answer to hubby Saif asking for attention! 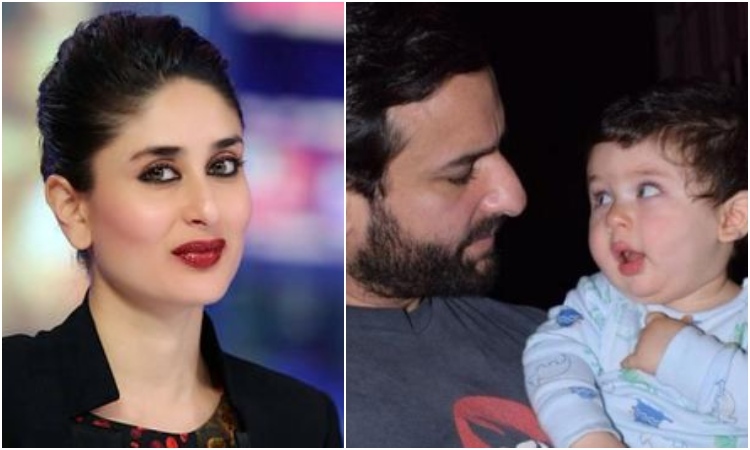 Bollywood actors Kareena Kapoor and Saif Ali Khan along with son Taimur Ali Khan easily make the most adorable family and we love them no matter what. But, did you know Saif also had a witty side to him? Yes, recently during a media interaction over radio Saif chose to ask wife Kareena a question, not only did he get a dose of 'Bebology', it got everyone curious too. Adding to it he said, "It's really very cheeky of you Saifu to be asking this on national radio but either ways I shall answer it. I think a husband should just be there for a wife. Baby means a lot of extra responsibilities and by sharing them, wife will automatically get happy. As for attention, plan a nice date for her to some romantic location without the baby and then see the magic. And if the wife says that she wants to spend time with the baby then don't feel bad. It doesn't mean she loves you any less. It just means for some time, her perspective has changed. Anyway, hoping for a nice romantic date from you soon, Saifu."